The building that houses the Hamburg Strand Theater was built in 1799, and was one of the first properties to be built when the town was laid out. Located at 6 South and 4th Street, it was a Federal style house, which was later, turned into a restaurant, before being converted to the theater in 1920. The building to the right of the Strand used to be a place called Trexlers. It had some great Hot Dogs and Hamburgers that I still remember to this day. Now, it’s a Pizza place. Times have changed in Hamburg, but not all that much. Hamburg, PA is still a very Historic little town that I remember well. Owners David and Ella Schlear opened the Strand to the public on Christmas Day of 1920 showcasing their large screened theater with 500 seats. The family home was located above the theater; the front section of the building was rented out as a barbershop. The Schlear’s son Ed took over ownership in 1935, and he added a new entryway, ticket booth, marquee, and neon lights as well as Modern projection equipment and an updated interior. Since then the Theatre has ungone many owners and numerous renovations; the barbershop became a video rental store (among other things) and a concession stand and lobby were built. The Strand now holds 200 seats and remains a single screen theater. 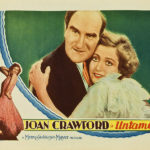 The first “talky” at the Strand was “Untamed”, shown in March of 1930. Prior to that, pianists and later records provided music during the silent film era. On Tuesday and Wednesday a “B picture” film was shown; Friday evening was cowboy night; Saturday offered the more publicized films. During popular movies the kids sat in the aisle; otherwise the girls sat on the left and boys on the right. This is a Image of the 1931 Movie Projector that was in the Strand Theater on display. I, as a young boy, have been into the Strand a number of times to see movies and cartoons that were playing for us kids back in the 50’s. Going back into the Theater for the 1st time in over 60 yrs. brought back some memories for me, but not many. For some reason my memory has faded me over time of the inside. Maybe it’s because it has undergone many changes since then. More than $200,000 has been spent bringing the old Theater back to modern day, so far. So, with all that, Eileen and I went and stepped back into History to see a Elvis impersonator, named Jeff Krick. He was putting on a show at the Strand for 2 hrs. We had bought tickets for the 1st 10 rows of seats from the stage. We got to sit in the 4th row! “Elvis” was very, very good to see perform. He was well worth the money we paid. He had all the moves that Elvis had and sang most of his songs from when Elvis was alive. His voice sounded just like him! He performed for just under 2 hours. We bought a Medium bag of buttered Popcorn for $5.50. Guess that the day’s of getting Popcorn for 25 cents are long gone! I guess that it was about 4 years ago, when I bought this Ipod Nano from Best Buy that is near here. The first time I saw one of these, I liked it. It was small and compact, could hold a lot of music, and had great sound. It came with ear buds as most of them do. I then took the music I had on ITunes and transferred 25 different songs from the 50’s & 60’s Rock & Roll. I just love the music from that era, when I was in High School. I used this Player a number of times and it came in very handy. You can take it anywhere and listen to what you want & the music you down-loaded into it. I loved it. Bye, and bye the player got misplaced somewhere here around the house. I just could not find it anywhere! I searched all over the place, thinking where could this player be? After searching for more than 3 day’s I found it! It was placed in a pouch in a drawer in the kitchen, hidden under some other junk! Finally, I had my Player back! Now, I had another problem. How to find the charger for it. I looked and found it in a pile of used connections from other electronic things we have. I connected it to ITunes and had it charging for about 2 hrs. After charging, I found it still in working condition after more than 2 years have passed. Super! Now, I had another problem that I didn’t expect. Had trouble transferring more of my Music on to the Player. It just would not recognize it as it had before. Why? I had no idea. Had to think of what was wrong. I tried doing the transfer 3 or 4 times, but no deal. Even went on the ITunes site to see if I could find a solution to my problem. Well, after trying some different suggestions, on which none worked, I called the ITunes Support. They were very, very helpful. I told the Lady on the phone what my problem was and she knew what to do right away. Here I found that ITunes has changed somewhat, and I was doing it all wrong. I didn’t know that had changed over the years. Now, I do. Now, I have over 50 different songs from the 50’s & 60’s Rock & Roll era on it. I still can down-load a whole lot more now that I know how to do this. Great! Hundreds of people that love good ole’ Country Music. This was one beautiful guitar to see. I can only imagine the price. Lookin’ right into my Lens. She smiled for the Camera. These 2 Ladies could really play a good tune.